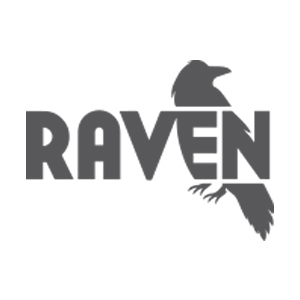 Raven Tools is a software that offers SEO and reporting tools for agencies, media companies, freelancers, and house marketers. It features comprehensive SEO data, site auditor, backlink analysis, link spy, and more. In this article, we cover user reviews and pricing. Ready to try Raven Tools? Get a free trial. Users who gave Raven Tools a positive review said that it is an excellent reporting tool with a clean analytics dashboard and user-interface. They added that it is affordable and continuously offers new services and features. Users who gave Raven Tools a negative review complained that its customer service representatives are not very responsive. They also said that it has some bugs and requires a steep learning curve. Raven Tools offers five paid subscription options: Freelancer ($49/month), Start ($109/month), Grow ($199/month), Thrive ($299/month), and Lead ($479/month). The main differences between the plans are the included number of campaigns/domains, users, positions checks, and more. Subscribers who need more users, domains, keywords, crawls, or backlinks can contact Raven Tools sales team for their enterprise pricing. Ready to try out Raven Tools? Get a free trial. 6 Best Small Business SEO Services for 2019 — Search engine optimization (SEO) services help build a business’ online presence to ensure the highest possible search rankings for specific keywords on a search engine like Google. In this guide, we compared more than 40 small business SEO services, narrowing it down to the top six based on pricing, toolkits, specializations, and transparency, arriving at the best overall. What types of payment does Raven Tools accept? Raven Tools accepts payments from major credit cards like MasterCard, Visa, American Express, and Discover. They do not support payments from PayPal. What are the browsers supported by Raven Tools? Raven Tools supports the latest two major browser versions of Google Chrome, Microsoft Edge, Mozilla Firefox, and Safari. Older versions, as well as other browsers like Internet Explorer, may have trouble in loading the software. Not sure if Raven Tools is the right fit for you? Read our reviews of all top SEO services providers or check out one of these three Raven Tools competitors. I use raven tools on a regular basis to run SEO audits for clients. It works great for discovering technical errors. It doesn’t work very well for ongoing reporting. The date parameters are limited and I feel there are a lot of metrics you can’t track, such as social networks. Raven has an impressive suite of tools that cover a wide spectrum of SEO/marketing needs. I have found their customer service to be very slow. I also feel as though the products are not necessarily user-friendly, which makes better customer service a big need. I wish I had known that the social network connections are very limited. Really just basic data is passed to Raven and only for Facebook/Twitter. They have made a very user-friendly tool that covers a large portion of SEO and digital marketing needs. Customer service is always a little bit of a challenge to deal with but they do usually get the issue resolved. They have raised rates drastically over the years, which would have been nice to know. The reports are beautiful and easy to read. Even some of my fellow colleagues who are Google Analytics fanatics, prefer to view data using the Raven widgets. I also love that we control the email address(es) that reports are sent from…. nice little custom detail that makes us look even better an an agency. Their price point is very affordable too. I’ve had several instances where I have submitted a ticket for tech support and I never get a response, I end up having to call them only to be told I’ll get a call back. That part of their company could definitely be improved. I simply wish I knew that their support staff aren’t exactly supportive most of the time. Luckily their help articles solve MOST things, but when you need some sort of account update, it’s like pulling teeth getting a hold of a live person. LOVE the software though, so I’m willing to put up with the lag in communication from support. Raven Tools offers a lot of robust SEO tools at an affordable cost for small businesses. Many SEO Tools at aimed at the enterprise level and pricing is not budget friendly for smaller companies. It’s fairly intuitive to use and integrates with Google Analytics and Search Console for accurate reporting. I used the reporting to export the data quickly, but I wasn’t a fan of using their report templates. Nothing, it was pretty much what I expected. 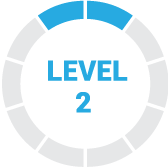 One of the best features that Raven Tools offers is easy to use and fully customizable automated reporting. It’s great to be able to pull many different platforms into one report- Facebook, AdWords, Twitter, Google Analytics & more. As an agency, it has saved us hours of time putting together manual reports for each of our clients every month. Raven Tools has lacked features/reporting capabilities within the paid advertising side of digital. While there is some functionalities around AdWords and Facebook ad monitoring, it would be great to be able to fully incorporate other advertising platforms as well such as Bing, LinkedIn, etc. Nothing in particular. Raven Tools has continued to evolve their platform quite a bit since we first started using their software.